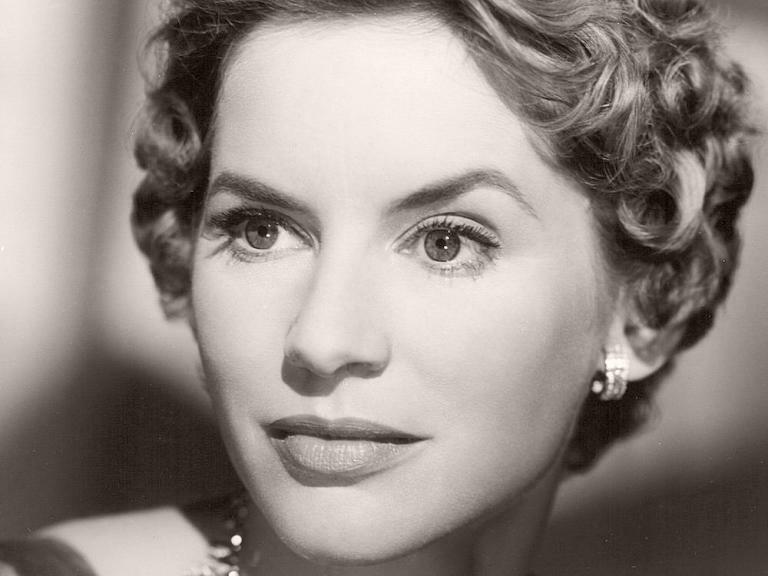 Photograph of British actress, Muriel Pavlow. There are a number of well-known theatre couples from the golden age of British cinema. Think Michael Denison and Dulcie Gray; Dermot Walsh and Hazel Court; and of course, Laurence Olivier and Vivien Leigh. Muriel Pavlow had what by all accounts was a long and happy marriage with her fellow actor husband Derek Farr. I regret missing seeing Pavlow introduce the 1941 film Quiet Wedding (in which she featured in a small part, with Farr the leading man) at the BFI in 2007. At the talk I’m told she remembered quite a few air raids while filming, during which they’d all huddle together on set in a shelter. After several raids fellow actress Margaret Lockwood exclaimed ‘I’ve had enough of this!’ and marched off instead to her dressing room. An underrated and in modern times somewhat neglected actress would seem to be an appropriate description of Pavlow. Keep an eye on her biography page to see when her films are next on television, including the 1950s trio of Malta Story (1953), Reach for the Sky (1956) and Doctor at Large (1957).